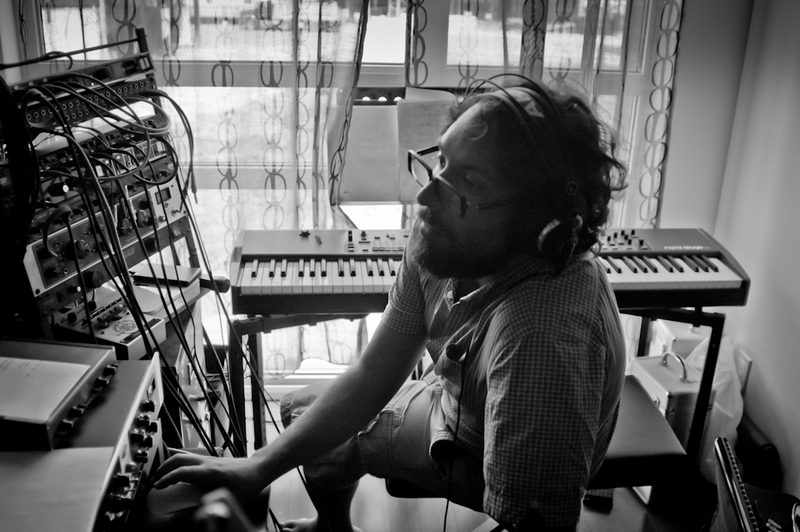 Robbie Grunwald is a keyboardist, composer, and producer based in Toronto, Canada. Trained in classical and jazz music, Robbie fits equally well into any musical setting from a free jazz improvisational ensemble, to an electro pop band, to a traditional klezmer group. The many facets of his playing make him a highly sought after player on the Canadian Music scene. As a performer, Robbie has recorded and performed with many of Canada’s prominent songwriters and musicians. He is a regular session player in Toronto. He has acted as musical director for groups, and composes for film, television, and video. You may have seen Robbie perform at a variety of prestigious festivals and venues including: The 2010 Vancouver Olympics, Massey Hall, The Montreal Jazz Festival, Teatro Lloseta in Mallorca Spain, The Toronto Downtown Jazz Festival, The Ashkenaz festival, Montreal’s Places Des Arts, Halifax’s Rebecca Cohn Auditorium, the Kill Your Pop music festival in Dijon France, and The North York Centre for The Performing Arts. Robbie started his piano studies at the age of six progressing through the Royal Conservatory of Music curriculum. He Attended the NMC jazz camp in 1992, where he participated in workshops and master classes with some of Canada’s great Jazz musicians including Alex Dean, Phil Nimmons, Kevin Turcotte, Gary Williamson, and Mark Eisenman. He went on to study jazz performance and theory, and subsequently studied composition. In addition to composition projects and maintaining a busy performance schedule, Robbie completed his PhD in Theoretical Chemical Physics at the University of Toronto in 2008.